Agrees that prior to participating in any activity, the participant will inspect the facilities and equipment to be used and, if the participant believes anything is unsafe, will immediately advise the coach, trainer, or other supervisor of such condition and will refuse to participate. Parent(s) and legal guardian(s) of minor participants (under 18 years of age) agree that they will instruct the minor participant to comply with this rule. Certifies that the participant is in good physical condition and has no disease or injury that would prevent or impair participation in this activity, and that no instructor, coach, manager, doctor, nurse, medical professional, athlete, trainer, or other person has advised the participant not to compete in a contact sport for any reason, and not to participate in this activity. Acknowledges and fully understands that each participant will be engaging in activities requiring physical contact, that by their very nature involve risk of serious injury, including permanent disability, paralysis, and death, and severe social and economic losses, including damage or loss of personal property, which might result not only from their own actions, inactions, or negligence but also the actions, inactions, or negligence of others, the rules of play, the conditions of the premises or of any equipment used. Furthermore, that there may be other risks not known to them or not reasonably foreseeable at this time. Voluntarily and knowingly accepts and assumes all the foregoing risk and danger involved with participation in martial arts training sports programs and other events and activities conducted by FIRSTBJJ, L.L.C. 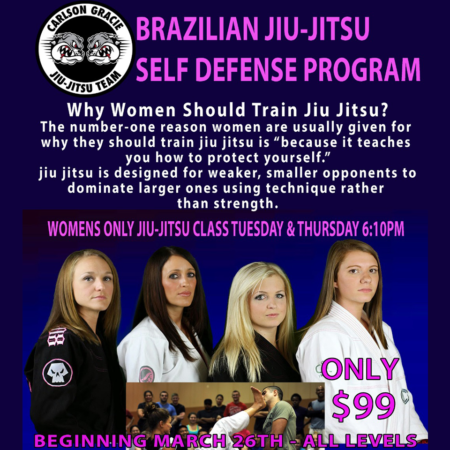 (First Brazilian Jiu-Jitsu) and its members, managers, and owners and accepts personal responsibility for the damages following such damage, loss, injury, infectious diseases, permanent disability, paralysis, or death. Releases acquits, waives, forever discharges, holds harmless, agrees to indemnify, and defend and covenants not to sue Carlos Santos, Suyan Queiroz, FIRSTBJJ, L.L.C. (First Brazilian Jiu-Jitsu), its members, managers, owners, employees, officers, directors, agents, instructors, volunteers, assistants, administrators, coaches, and First Brazilian Jiu-Jitsu; and their affiliated clubs and organizations’ administrators, directors, agents, coaches, employees, supervisors; and other participants, participants’ parents and/or guardians; and sponsoring agencies, sponsors, advertisers, and if applicable, owners and lessors of the premises used to conduct any event or training, all of which are hereinafter referred to as “releases”, from any and all liability, claims, damages, demands, costs, actions, causes of action, or suits of any nature or kind whatsoever which the undersigned, their heirs, parents, guardians, next of kin, executors, administrators, personal representatives, or assigns may have or claim to have, on account of or arising out of the personal injuries, death or damage to their person(s) or property or involving any impairment or damage to any right, including, but not by way of limitation, loss of time, loss of service, loss of income, or for expenses incurred, occurring to them because of or in any way relating to participation by the undersigned in activities of FIRSTBJJ, L.L.C. (First Brazilian Jiu-Jitsu) and any of its members, managers, owners, employees, officers, directors, agents, instructors, volunteers, assistants, administrators, coaches; and First Brazilian Jiu-Jitsu, and its members, managers, owners, employees, officers, directors, agents, instructors, volunteers, assistants, administrators, and coaches or through the use of any and all facilities connected therewith, or caused or alleged to be caused in whole or in part by the negligence of the releases or otherwise. 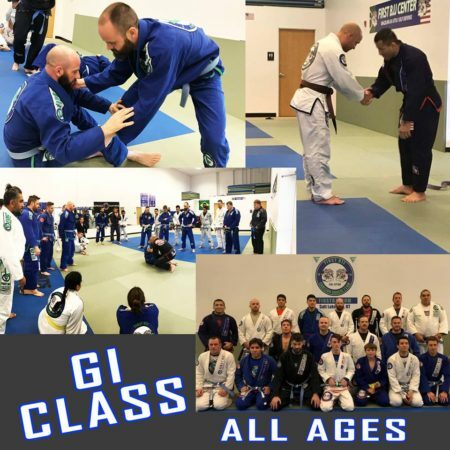 Understands that from time to time we take photographs and videos of classes and events including participating students, which are used for business purposes, including for advertising and marketing, and hereby grants FIRSTBJJ, L.L.C. 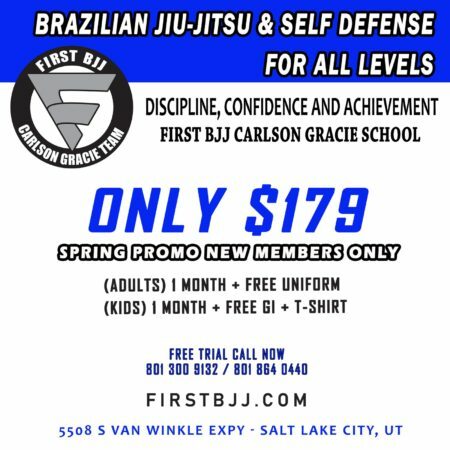 (First Brazilian Jiu-Jitsu) permission to take and use any photograph or motion picture of me and/or my minor child, for its unrestricted business purposes, including web site entries, newsletters, promotional releases, and advertising. I hereby release and authorize FIRSTBJJ, L.L.C. (First Brazilian Jiu-Jitsu) its members, managers, owners, officers, employees, agents, representatives, heirs, successors, and assigns, including waiver of any rights of my minor child, to inspect or approve any photograph, the finished product, including printed or electronic copies, or any other media wherein my photo or a photo of my minor child appears, provided that the photo is being used by FIRSTBJJ, L.L.C. (First Brazilian Jiu-Jitsu) for business purposes. I understand that I will not be notified about the use of any photograph in advance. Additionally, I waive any right to royalties or other compensation arising or related to the use of the photograph. I hereby hold harmless and release and forever FIRSTBJJ, L.L.C. (First Brazilian Jiu-Jitsu), their members, managers, owners, officers, employees, agents, and representatives, from all claims, demands, and causes of action which I, my minor children, my heirs, representatives, executors, administrators, or any other persons acting on my behalf or on behalf of my estate. I/we declare under penalty of perjury that the foregoing is true and correct. I / WE HAVE READ THE ABOVE WAIVER AND RELEASE; UNDERSTAND THAT I / WE GIVE UP SUBSTANTIAL RIGHTS BY SIGNING IT, AND SIGN IT VOLUNTARILY. Please use your mouse or finger to draw your signature in the space below.